The DIGAS site is testament to the determination of local people to ‘grow their own’. 2010 saw them start the battle for planning permission, get grants to put up security fencing to reduce vandalism, buy a storage container, negotiate land boundaries with neighbours, and start to clear the site of saplings and years of dumped rubbish. 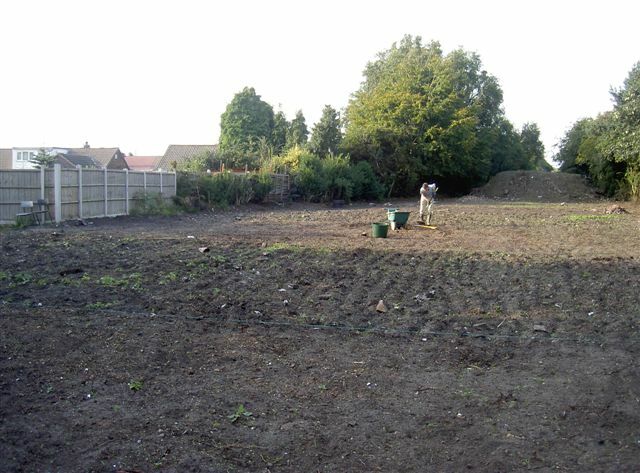 A group of people in Skelmersdale spent many months looking for a suitable site to develop into allotments before they were put in touch with the Church of Christ in Digmoor. 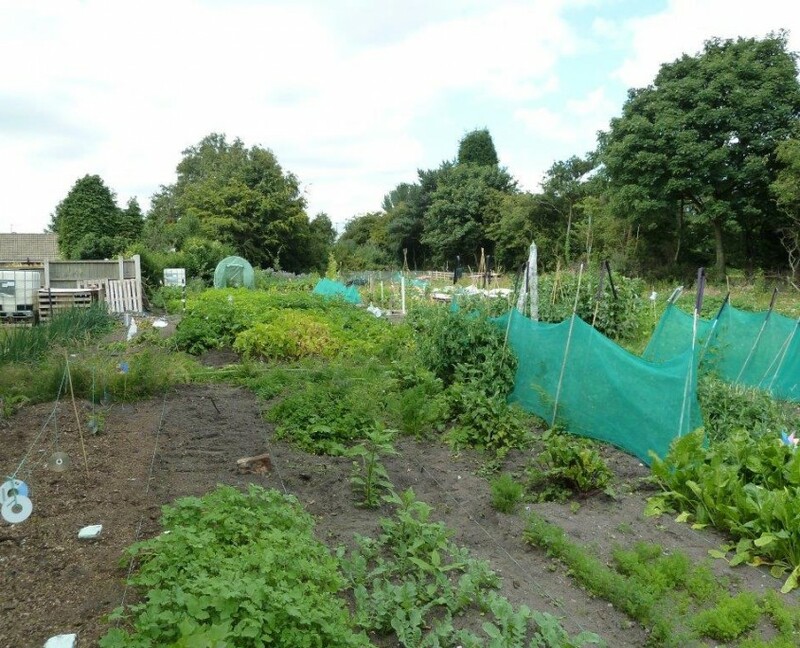 The church agreed to let the group develop the land behind their church, and when the Borough Council agreed to include the adjoining piece of land, the Digmoor Inspired Growers Allotment Society (DIGAS) was born. 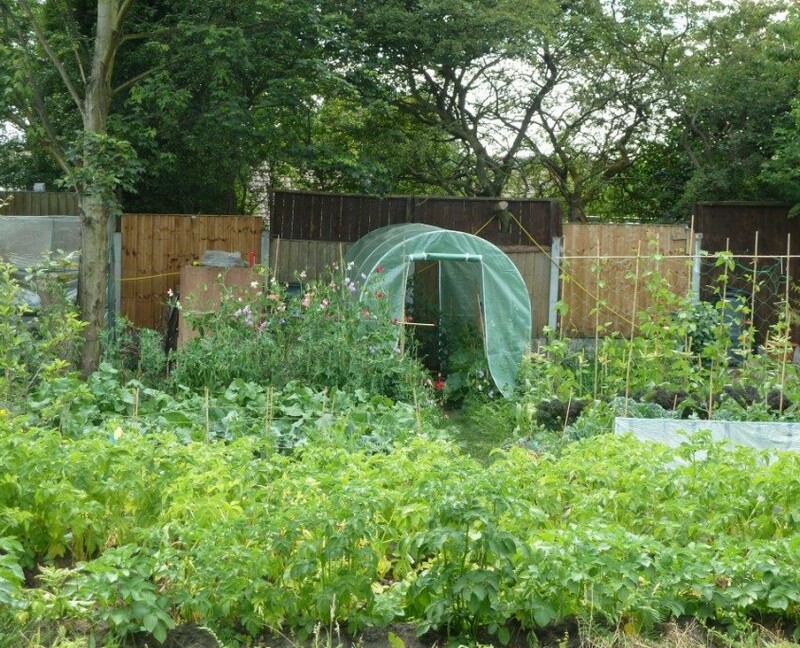 In August 2011, Chair Susan Hudson reported that ‘The site has moved on dramatically from wasteland to a productive allotment site, with all available plots taken and a slowly growing waiting list. 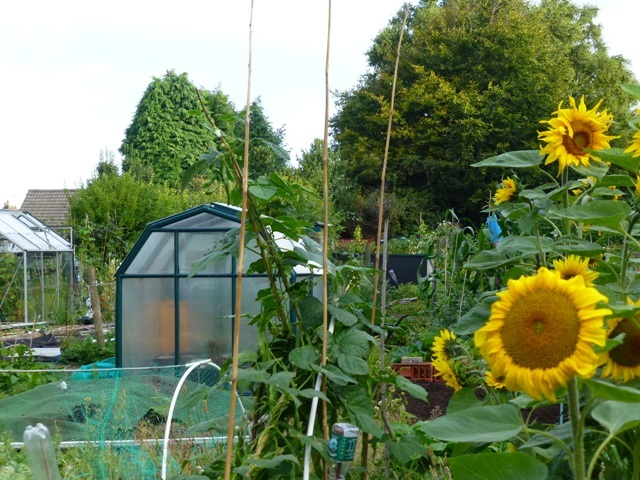 Crops are now being harvested – instead of bikes and tyres being dumped..
‘Further development of the site is planned to introduce community raised beds to allow more members to join and get a taste of ‘allotmenteering’. A successful grant application to Small Sparks has now provided us a secure container. 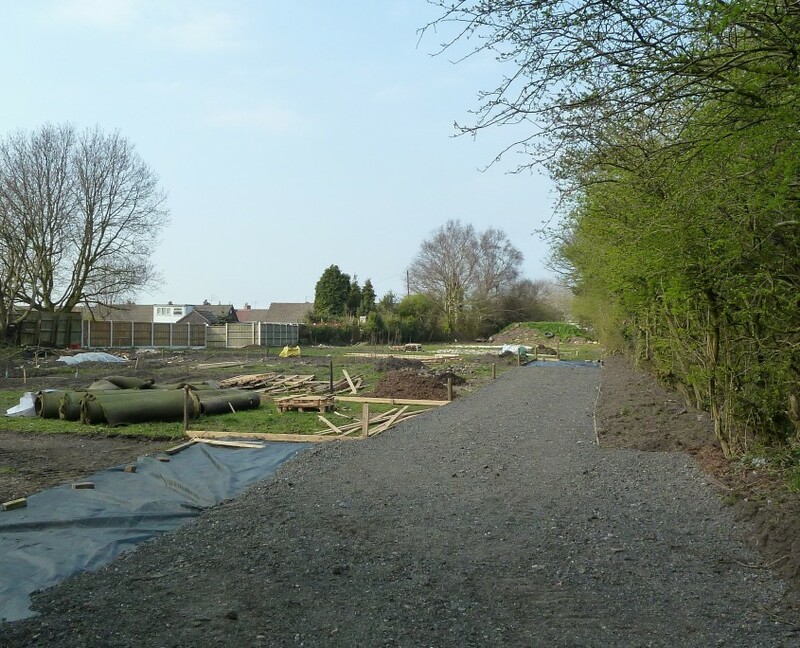 By the end of 2011, DIGAS (who had more obstacles to overcome in setting up their allotment site than any other site we worked with) had been awarded an Awards for All grant for security fencing, and finally achieved their dream of a secure and fully functioning site. The DIGAS site was one of the most difficult sites to get up and running and is testament to the determination of local people to ‘grow their own’. The site is now thriving and highly productive, with a waiting list for the 8 plots. The annual seed and plant share held early each year provides the perfect start to the growing year. 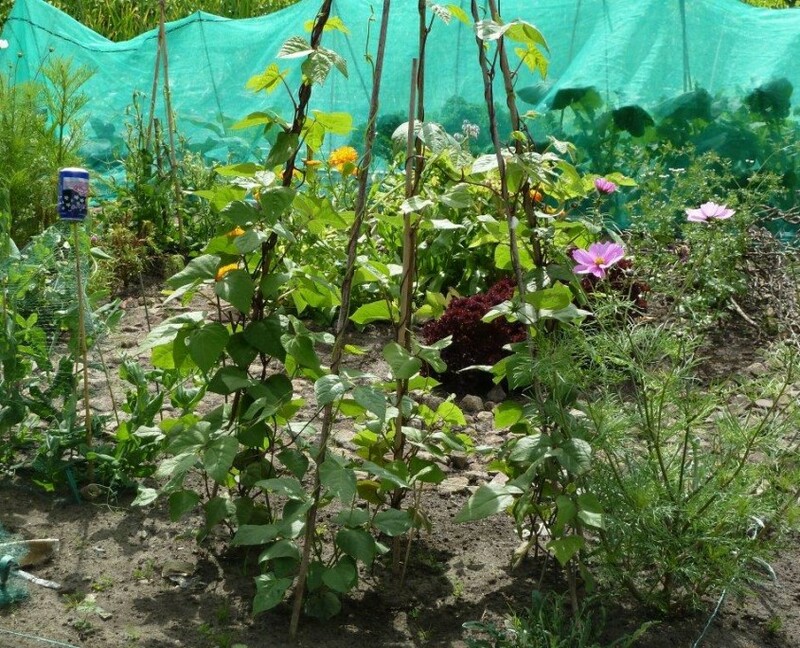 There are plans to create a communal orchard, a blackcurrant hedge and some hazel trees to provide bean poles.